Flooding in Arizona is serious business, costing millions of dollars in property damage and affecting people from Page to Nogales. 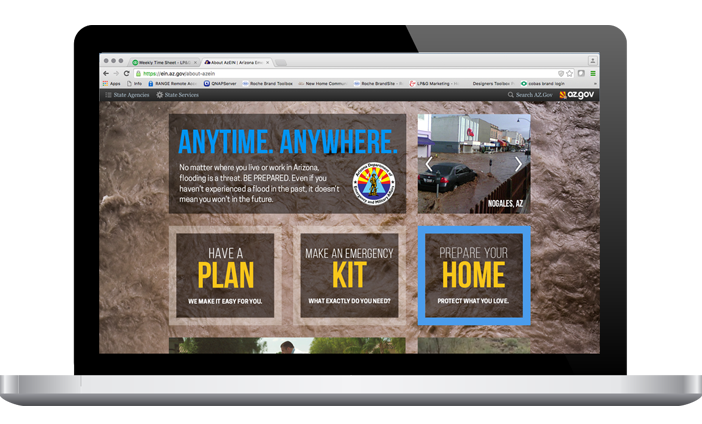 The Arizona Department of Emergency and Military Affairs asked us to create a state-wide awareness campaign to educate Arizonans about the very real risks of flooding. 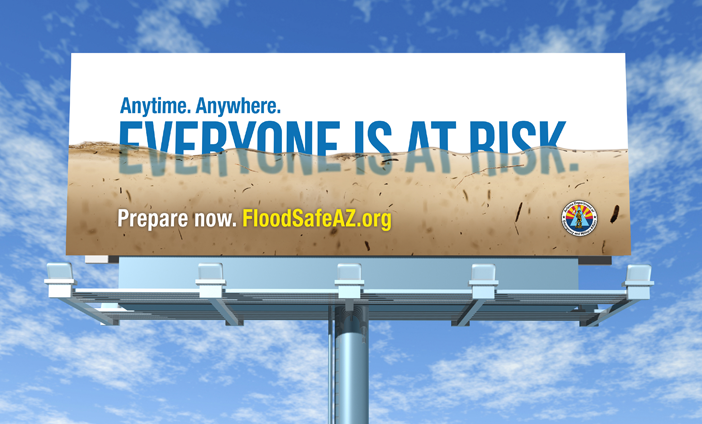 Our humorous approach in TV balanced the straightforward billboard message, and all media — TV, radio, outdoor, social — drove people to FloodSafeAZ.org where they could learn how to prepare.